Photography by Brian Van Wyk. 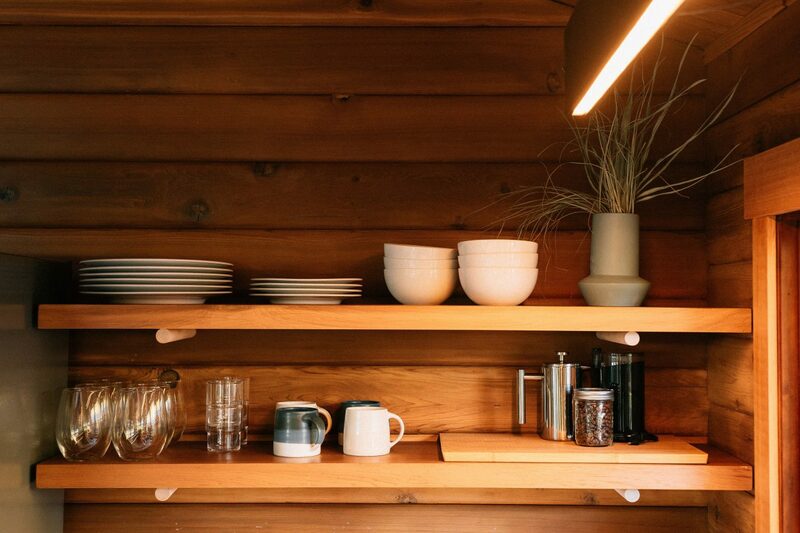 At Bodega Cove, even the simple act of making coffee forces guests to slow down. There is no espresso machine, and no giant coffee pot—only a single-serve French press is to be found. That means every cup, in this author’s case of Fernwood beans from Victoria, must be painstakingly made one at a time. For you, then for me. Want another round? Start the measured, scientific steps all over again. This process, while at first perhaps an annoyance for any city-dweller used to instant gratification, quickly becomes a calming ritual. 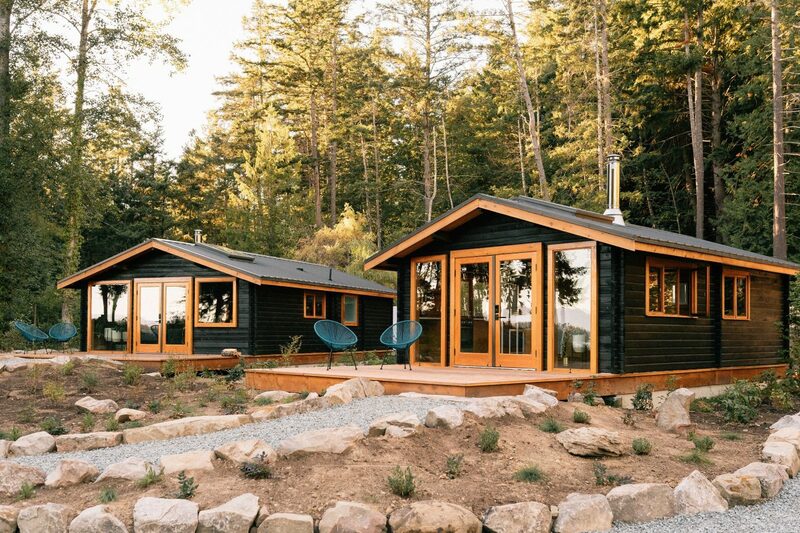 Such is the way of life on Galiano, where this cluster of cabins is situated. People are warm, and they are calm; the pace has to let up. There is no alternative. 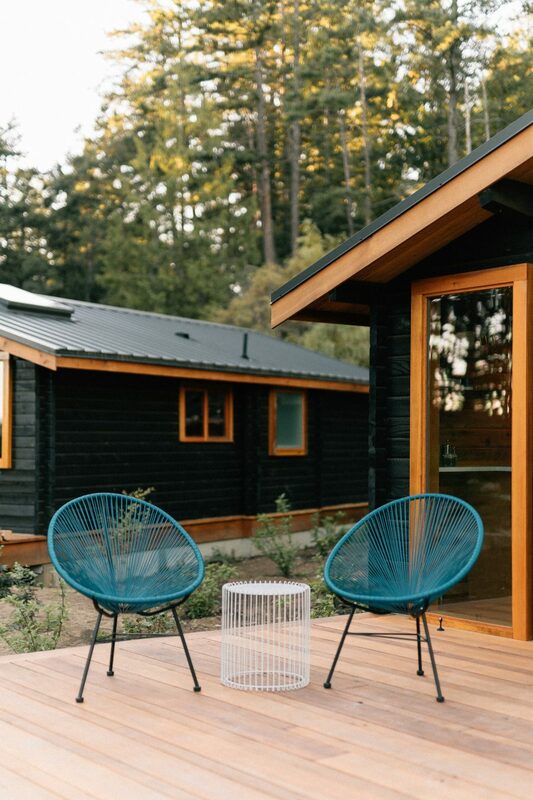 A sister property to Bodega Ridge up the road, Bodega Cove features five 1969 Pan-Abode cabins that have been lovingly restored with a modern, luxurious twist. 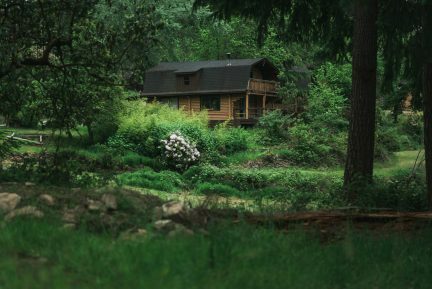 The charming result is getaway rustic enough for nature-lovers, and yet still contemporary enough for urban folk. 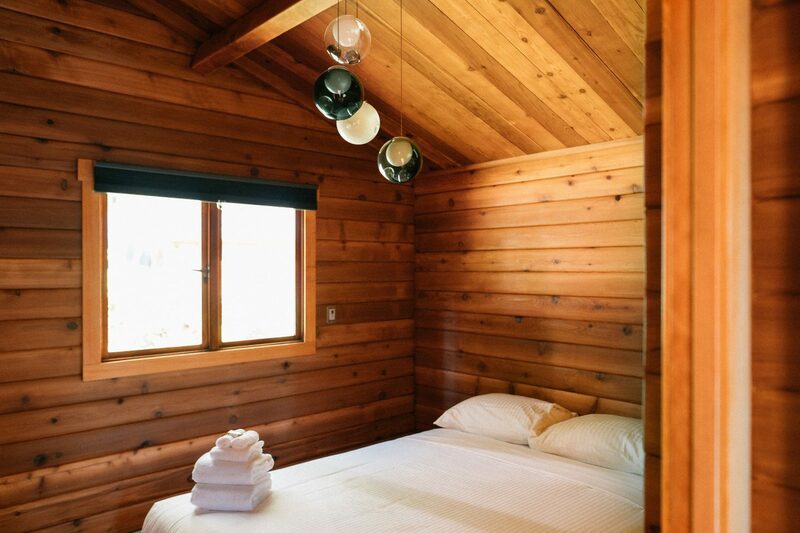 Bodega owner Jesse Keefer, along with Bowen Island’s Gamla Studio and Galiano’s John Parfitt, designed the cabins, which have either one or two bedrooms and dot a quiet lot just across the street from the ocean shore. 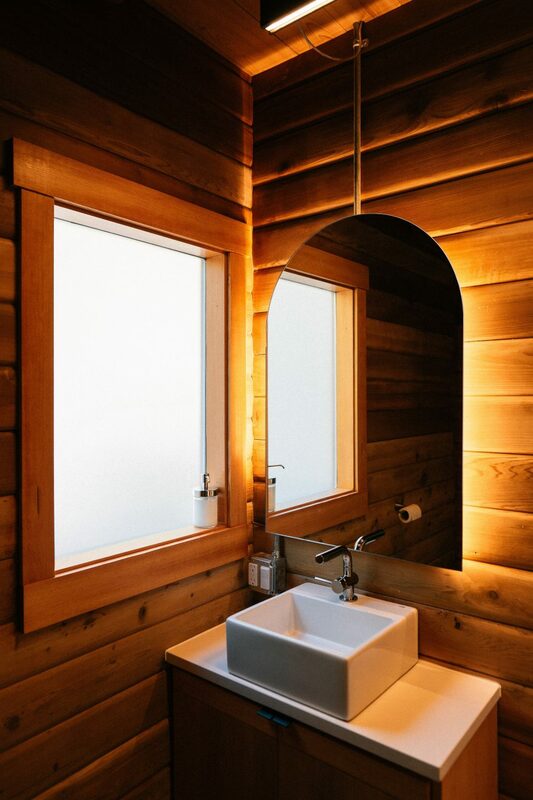 That means a tastefully minimal aesthetic runs throughout, from the Bocci hanging lights, to the Sunday Dry Goods throw blanket, to the cedar panelling, to the sleek standalone bathtub. 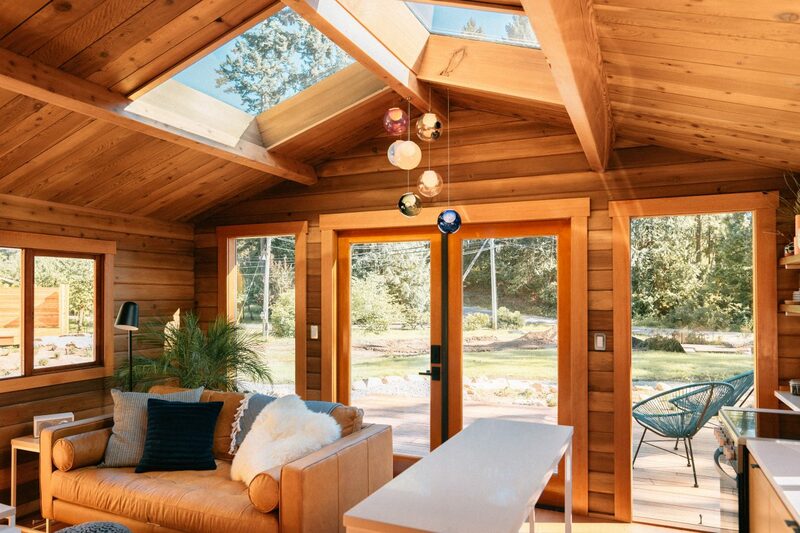 With floor-to-ceiling windows in the living room and kitchen (and no blinds), the morning light shines in during the day; at night, the structures emit a happy glow. 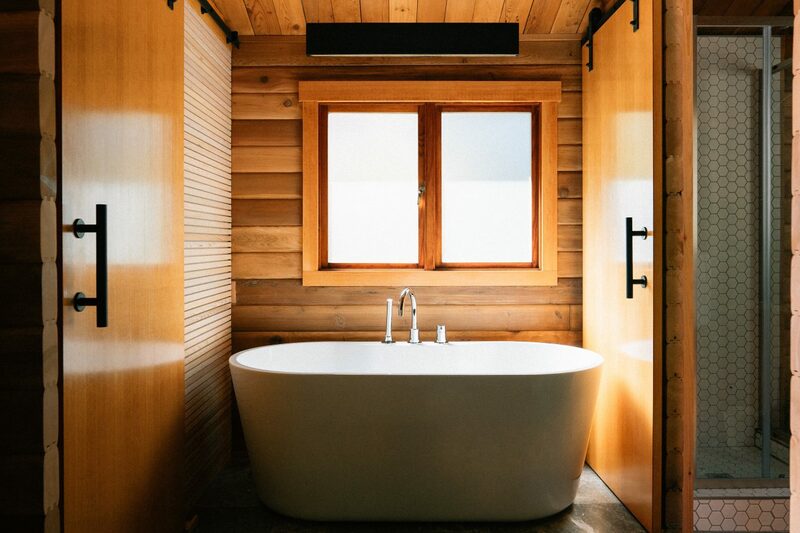 Instantly invoking a sense of calm, the modestly-sized spaces spark both introspection and interaction. 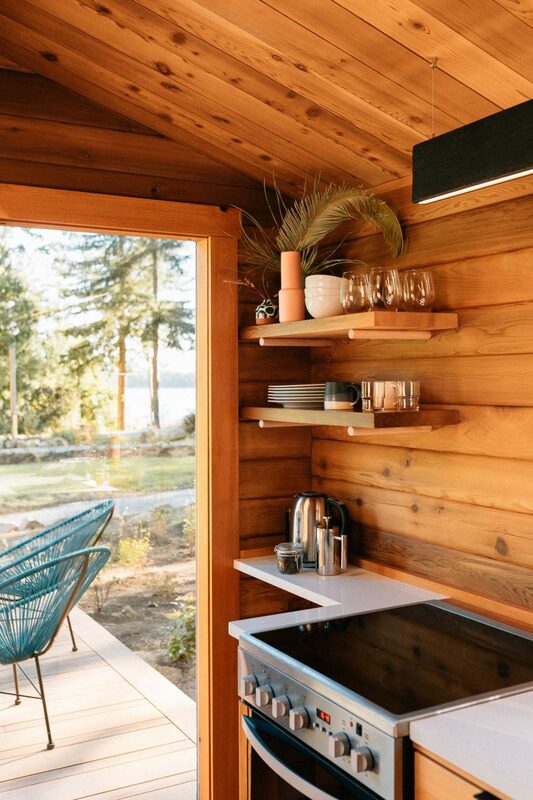 Upon arriving in Sturdies Bay, stop by Daystar Market for some groceries, as the Cove cabins come equipped with oven, stove, and, in the case of the one-bedroom options, small eating islands with matching stools. In the colder months, enjoy starting a fire and warming up as its heat begins to fill the space. 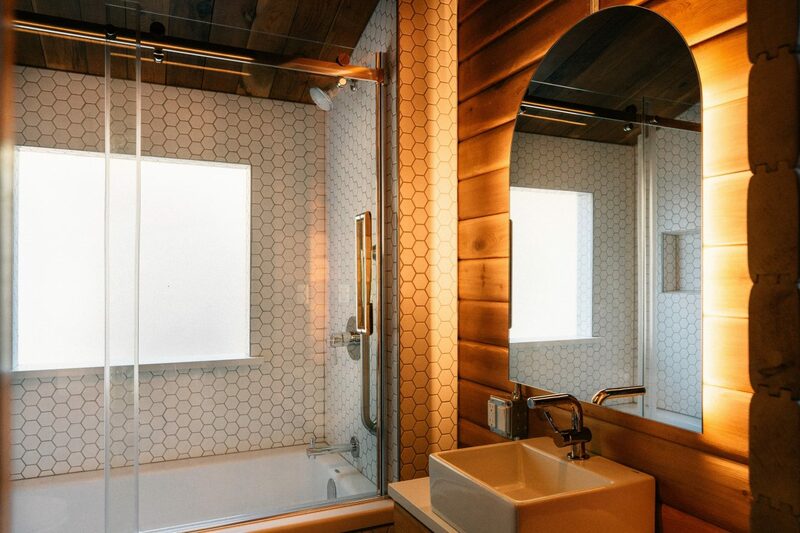 Curl up on the leather couch, recline on the firm yet comfortable bed, or indulge in an evening soak (and delight in the heated tile floors upon getting out after). Keeping things local, the small tiled shower comes equipped with a bar of soap from Parker Street Soap Co., which is a one-woman show run out of Sturdies Bay (travellers can visit the workshop-retail space, perhaps with a coffee from neighbouring Bowline Cafe in hand, to purchase soaps to take home). 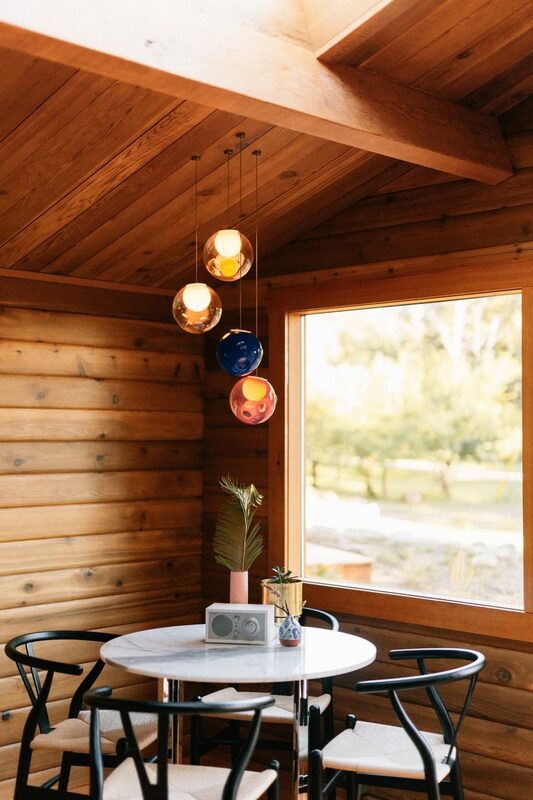 And of course, while cooking meals at the Cove is its own kind of meditation, visitors would be remiss not to make a visit to Pilgrimme restaurant as well. 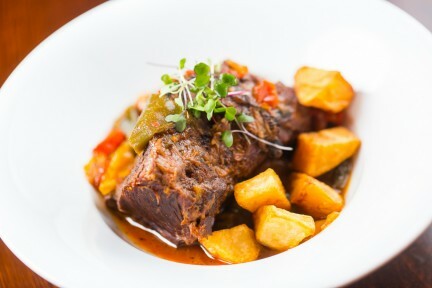 Helmed by chef Jesse McCleery and Leanne Lalonde, the cozy spot serves up truly world-class cuisine (McCleery trained under famed Noma chef Rene Redzepi and takes his foraging philosophy to heart). 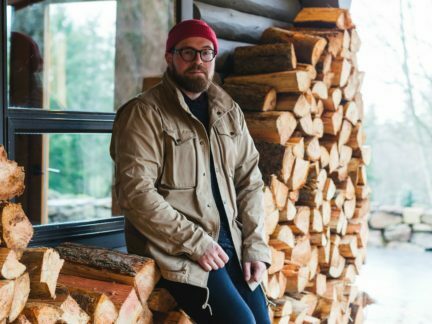 With an emphasis on using unsung local ingredients and incorporating skillful techniques, the changing menu is surprising, impressive, and delicious, an unlikely yet fitting pair to the modest decor of antlers, pine cones, and other found items. Nature walks are part of life here, after all. 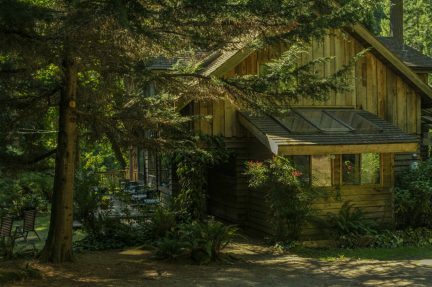 Encompassing the natural beauty of the Gulf Islands, Galiano is lush, quiet, and small, making it easily navigable for wilderness explorers. Between Bodega Ridge Provincial Park, the sandstone caves at Retreat Cove, and Bellhouse Provincial Park, there are plenty of breathtaking places in which to take a stroll, smiling at fellow wanderers and stopping to pet happy dogs. 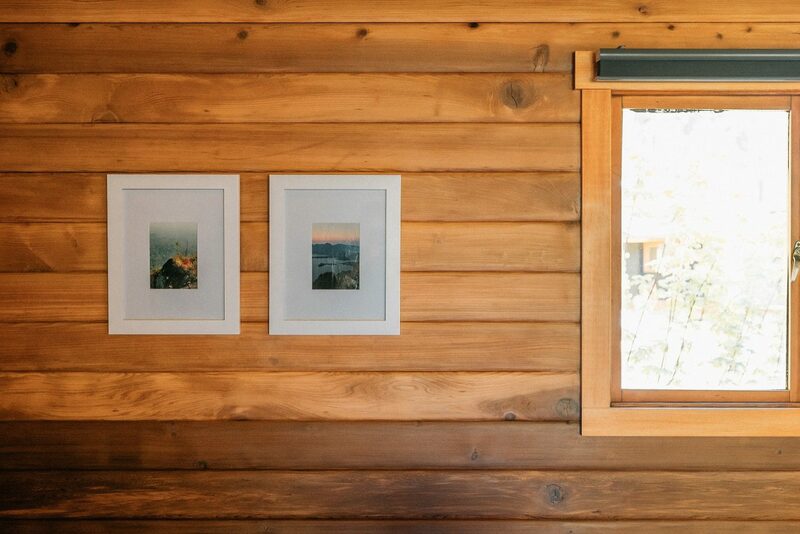 Back at the cabin, where a copy of Judith Schalansky’s Atlas of Remote Islands beckons a browse, take a nightcap out on the deck or simply sit and stare at the fire. The WiFi signal is weak here, but it makes everything else stronger.